The scene of a double murder of two young children in Brockton Monday. 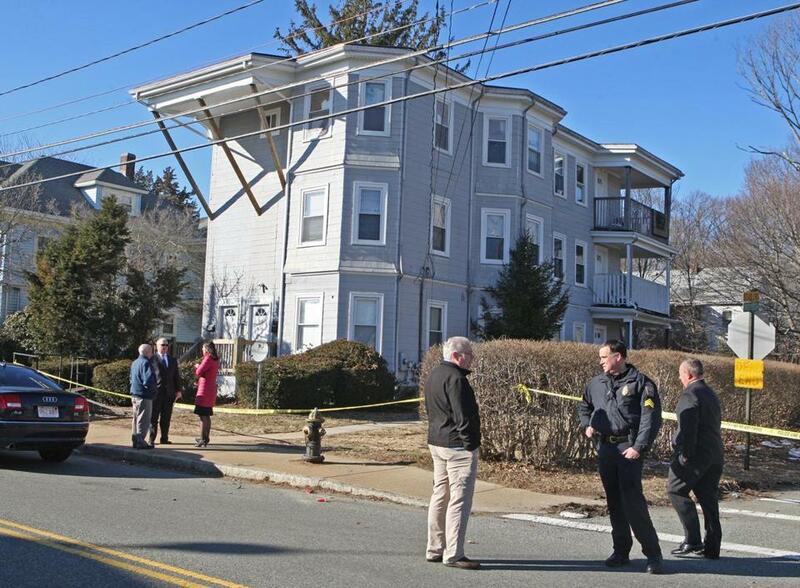 BROCKTON — Latarsha Sanders sat limply on the back steps of her triple-decker around noon Monday, waiting for an ambulance to come. She had asked a neighbor to call 911 but didn’t say why. 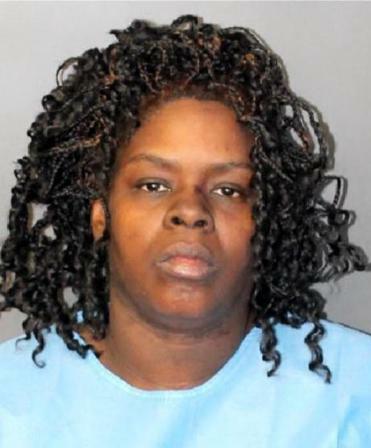 Latarsha Sanders, 43, faces two counts of murder. When police arrived, the reason became horrifyingly clear. Sometime during the past two days, two of her children, brothers ages 5 and 8, had been fatally stabbed, and their bodies were inside her third-floor apartment, authorities said. Sanders is the accused killer. The 43-year-old was charged with two counts of murder and will be arraigned Tuesday in Brockton District Court. Sanders made statements to investigators that “could be construed as admissions,” Plymouth District Attorney Timothy Cruz said at a news conference. “This was a gruesome, disturbing, and most of all heartbreaking crime,” Cruz said. Prosecutors will provide details in court about what they believe led Sanders to kill her children, he said, and will release the statements she made to investigators. Authorities said they believe Sanders acted alone and there is no danger to the public. They were waiting for a warrant to search the apartment building, Cruz said Monday. He would not specify where in the apartment the brothers were found. Authorities did not identify the children. Cruz said Sanders has at least one other child, who is safe. Relatives, including the boys’ father, have been notified, Cruz said. When authorities arrived, Sanders was taken away on a stretcher, screaming and kicking, said Vin Lalli, a neighbor who witnessed the scene while collecting his trash barrels. A grandfather who has lived on the street for 40 years, Lalli said he was stunned by the killings. Lalli said Sanders did not appear to work and for the most part stayed home alone with her children in the gray triple-decker at 247 Prospect St. Her older child may have been at work at the time of the slayings, he said. Brockton city councilors were notified of the double homicide in a robocall from the mayor’s office, said Winthrop Farwell Jr., a former Brockton mayor who is now an at-large councilor. The call said the two children were “stabbed to death,’’ he said. “It’s the kind of call you don’t want to get,’’ said Farwell. Ernst Blanc, a neighbor, said he had seen two young children playing in their yard and the yard behind his house. They played ball and tag and rode bicycles. He said he had also seen a man and woman with them. He said he last saw the children about two weeks ago when he saw them going to the school bus in the morning. He said he never saw anything that was concerning. Darcy Ruskiewicz, who lives nearby, placed a pink teddy bear against a utility pole near the home. Marzella Scott, who lives nearby on Weston Street, was standing near the crime scene with her 5-year-old grandson. “I would see from time to time kids get on the school bus,” she said, but she hadn’t seen them play with her grandson. @globe.com. Follow him on Twitter at @DylMcGuinness.